You'll also love this week's sweet, sweet photos on the topic of Natural Birth over at Natural Parents Network, inspired by this week's posts on the same topic. I have been reading so much about cloth diapers today (thank you so much for starting that thread BTW). These seem to be the most promising and adorable! I'm pretty excited about getting started with this especially because we will be going for baby #2 pretty soon. What a great prize! I love cloth nappies :-) Need to make some time to get to my sewing machine and make some more for my daughter - she's growing so fast I can hardly keep up! Perfect prize! I absolutely adore the range of colors! never got into cloth diapers its probably because I lived in a 3rd floor walkup in NYC. Very cool! I never got into the whole cloth diapering thing because I'm too lazy. Ok, I have to admit, when I clicked on the link over to your WW post, I expected to see something made with marshmallows or FLUFF. This was so much better, LOL! Awesome colors. That's wonderful! What a great stash! 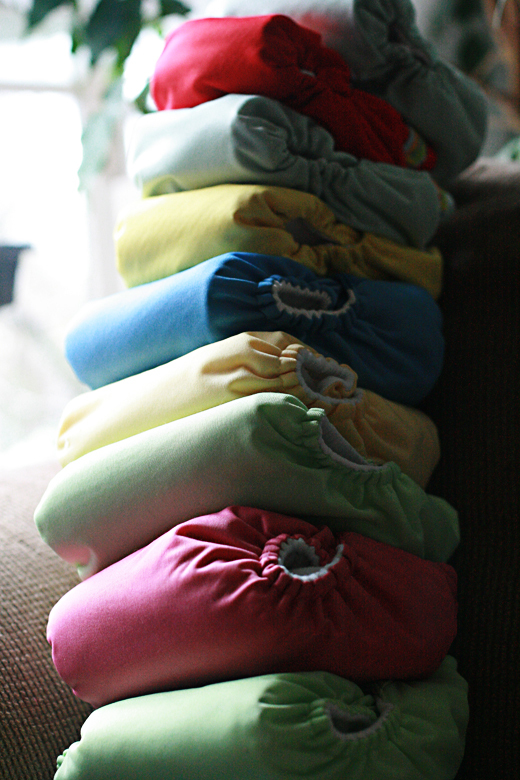 I swear I wish I knew more about cloth diapering when I had Lily. Have a great Wednesday! How can diapers look so trendy?? I love it!!! Holy Wow! That's quite a prize! Congrats! congratulations! those are amazing stuffs! WOW! That is some NICE Fluff! My WW was about fluff too haha *blush* lots of Fluffy Love going on I guess. Wow! That must've been such a wonderful surprise. 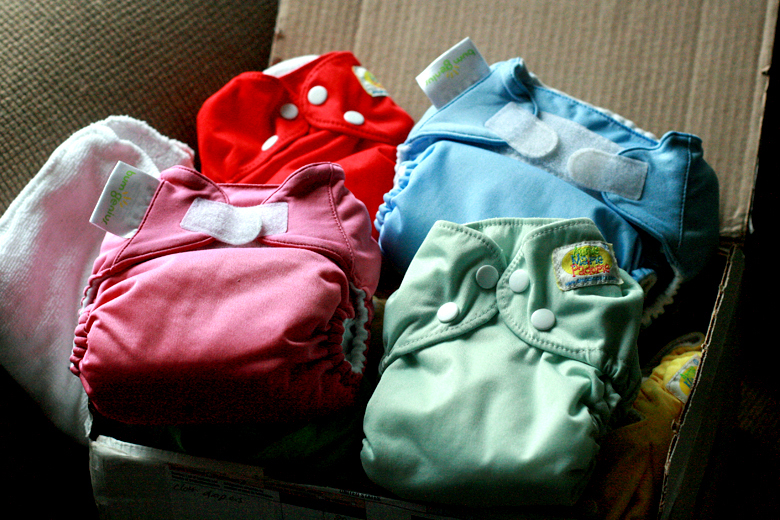 There's nothing like getting surprise cloth diapers in the mail (I know!). That's a really useful prize for once!! And they look cute, too! Congrats! Wow! That is a really great prize. Wowzers! a generous surprise for sure! congratulations, and what great fluff! Wow, those diapers look beautiful! Oooh so jealous! 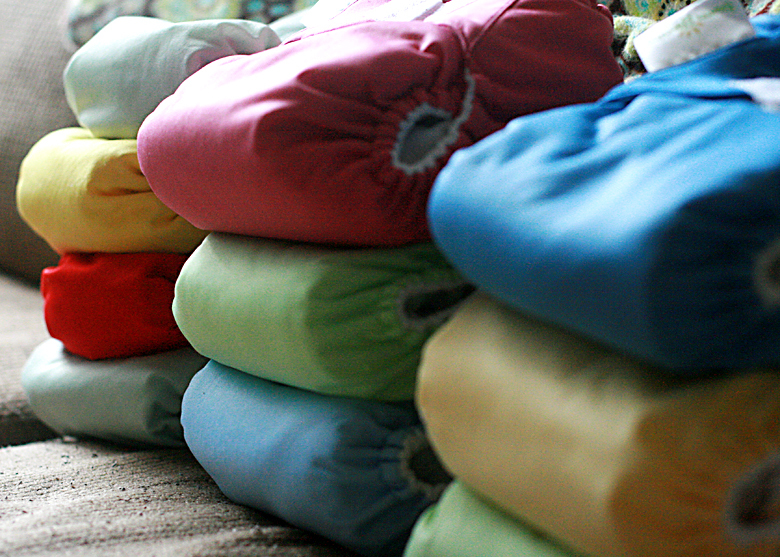 Very pretty diapers!